Audrey did a wonderful job capturing precious moment in our daughters’ lives. I already look back and am in awe of the candid shots that she took. 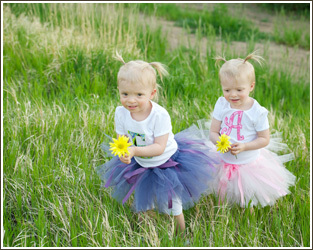 As you can images with twins, we aren’t always “camera-ready” during our shoots. Audrey was very professional and had the patience to work with our family. We can’t wait to have her take more photos of the girls as they get older!